Are you a breastfeeding mama? Trust me, you want to enter this giveaway! This Holiday season we teamed up with a few of our favorite breastfeeding brands to give away one massive bundle of goodies. 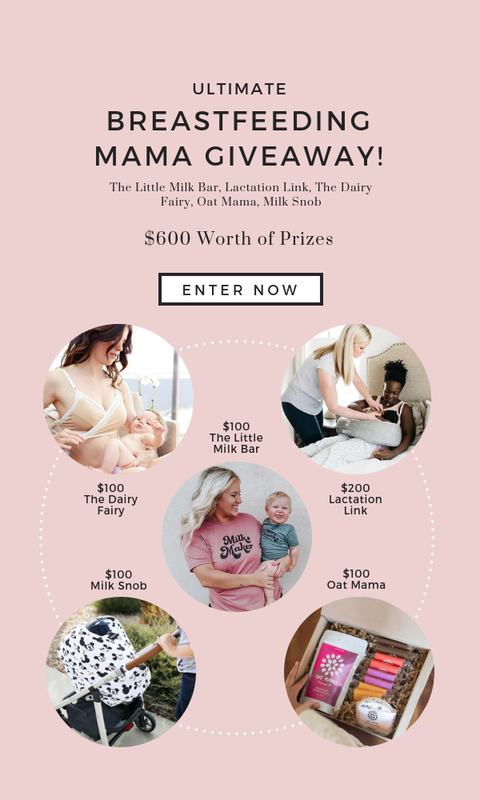 The Little Milk Bar, Oat Mama, The Dairy Fairy, Milk Snob and Lactation Link… that’s one hefty lineup babe. And one of you lucky mamas will win it all! Just click HERE to enter. Good luck mama… we hope you win!